1st Call Plumbing & Heating is a family run business with over 24 years experience. Our aim is to keep our overhead costs down, so we can pass the savings on to our customers. At 1st Call we use a higher quality of materials and fittings. In doing so our customer's are happy to recommend us to their family and friends, where the majority of our work is generated. 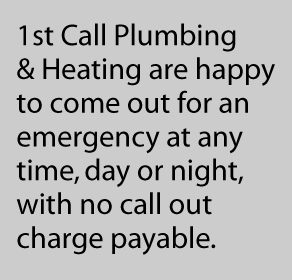 1st Call Plumbing & Heating specialise in providing a fast, reliable 24 hour emergency plumbing & heating service throughout Glasgow & surrounding areas. There is no call out charge and our average response times are between 45 - 90 minutes. In our experience over 80% of emergency call out jobs are completed within the first 2 hours. Whether it's a leak under the sink, wash hand basin, WC bowl or toilet system, choked or blocked WC bowl (toilet), bath, basin, sink, regulate or renewal of a ballcrane to rectify an overlow or finding a water leak from your ceiling or roof above, 1st Call Plumbing & Heating can handle it. 1st Call Plumbing & Heating always keep a selection of the commonly used materials in our vans, so we are able to complete most jobs without leaving the job site. 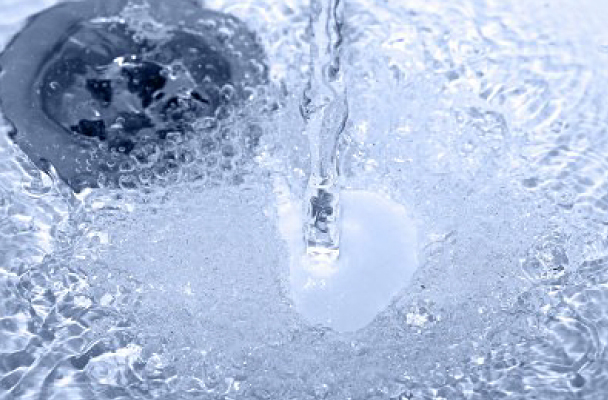 As a result, we can offer our customers the lowest plumbing prices in and around Glasgow. We are cheap on price but high on quality and knowledge of the plumbing industry. 1st Call offer a free quotation and plumbing advice on all installations from attic storage tanks to hot water (immersion cylinders), from lead pipe renewal to fitting an outside tap. Our completed portfolio includes large scale commercial refurbishments to smaller scale domestic projects. We have worked on renovating Glasgow City Centre offices to re-washering kitchen taps. No job is too big or too small. 1st Call Plumbing & Heating's bathroom suites are fitted to the highest standard and in compliance with the manufacturers specifications. Our bathroom team has over 18 years experience in straight forward bathroom suite replacements. We can re-design the layout of your bathroom, whether it's from an old fashioned classic bathroom design or an ultra modern bathroom design, we will complete the job in accordance with the customers design and specification and in conjunction with all other trades so the job is completed promptly and on schedule. Areas Covered: Emergency Plumber Glasgow | Plumbing & Heating Specialists in - Plumber Anderson, Anniesland, Bailiston, Balarnock, Barmulloch, Blackhill, Bridgeton, Plumbers Clarkston, Carmyle, Carntyne, Cowcaddens, Dalmarnock, Dennistoun, Drumchapel, Easterhouse, Finnieston, Garthamlock, Glenboig, Haghill, Hillend, Hyndland, Jordanhill, Kelvinbridge, Kelvindale, Kelvinside, Knightswood, Lambhill, Plumber Maryhill, Merchant City, Milton, Mount Vernon, Parkhead, Partick, Possilpark, Provanmill, Riddrie, Robroyston, Ruchazie, Ruchill, Scotstoun, Shettleston, Sighthill, Springburn, Summerston, Temple, Plumbing Services Tollcross, Townhead, Westend, Whiteinch, Woodlands, Woodside, Yoker, Arden, Battlefield, Cardonald, Castlemilk, Cathcart, Corkerhill, Croftfoot, Crookston, Darnley, Govan, Govanhill, Gorbles, Hillington, Ibrox, Mosspark, Mount Florida, Muirend, Nitshill, Penilee, Plumber Pollok, Pollokshaws, Pollokshields, Queens Park, Shawlands, Shieldhall, Toryglen, Tradeston, Airdrie, Bearsden, Bellshill, Bishopbriggs, Cambuslang, Clarkston, Clydebank, Plumbing Services Cumbernauld, Eaglesham, East Kilbride, Hamilton, Johnstone, Kilbarchan, Milngavie, Motherwell, Newton Mearns, Paisley, Renfrew, Stepps, Wishaw and surrounding areas.